Built between 1928 and 1929, The Dominion theatre had to be hastily converted into a cinema when live entertainment alone was proving bad for the business. 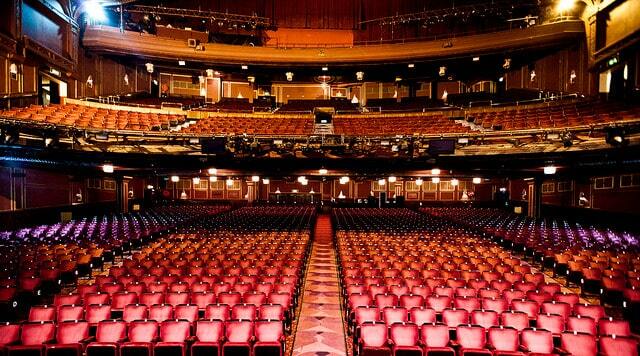 After 1957’s The Judy Garland show, the theatre became a popular venue for musical theatre and musical performances. 1958 saw the opening of Rodgers and Hammerstein’s South Pacific, which ran for over 4 years, and their 1965 follow-up The Sound of Music proved even more successful. When the business began to falter again, the Dominion looked to extend its reach beyond traditional theatrical confines. 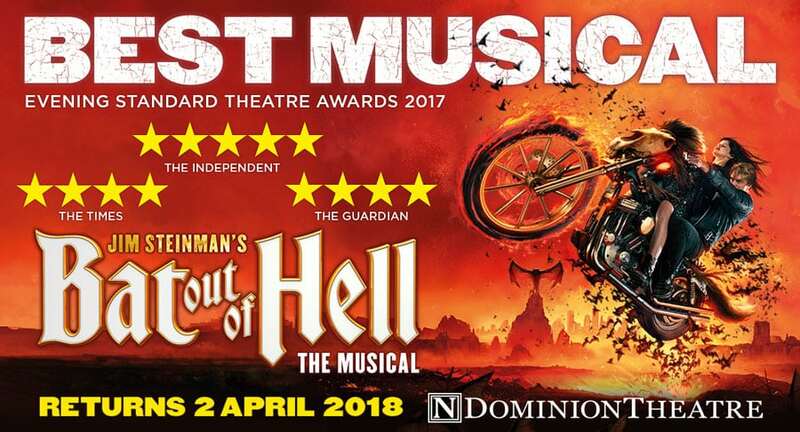 Throughout the 1970’s and 80’s, it played host to a number of successful rock and pop groups, including David Essex, Randy Newman, Dolly Parton, Thin Lizzy, U2, David Bowie and Duran Duran. In between these concerts, the theatre regularly hosted ballet and opera performances. For the premiere of the 1986 musical Time, the theater interior was painted black. While receiving mixed reviews, the show ran for 2 years. The theatre was threatened with closure (despite its Grade 2 listed status), but a Save Our Theatre campaign spared it that fate in 1991. 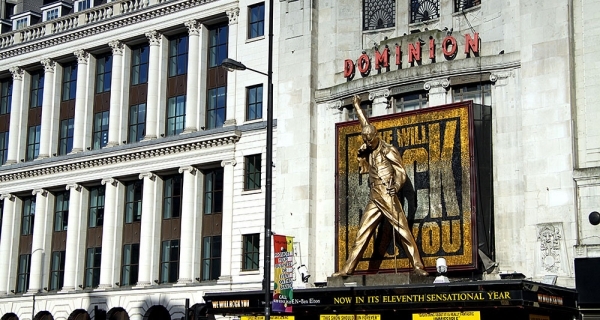 The 1990’s saw the theatre hosting the Royal Variety Performance on a number of occasions, as well as the now legendary Bill Hicks comedy special Revelations. 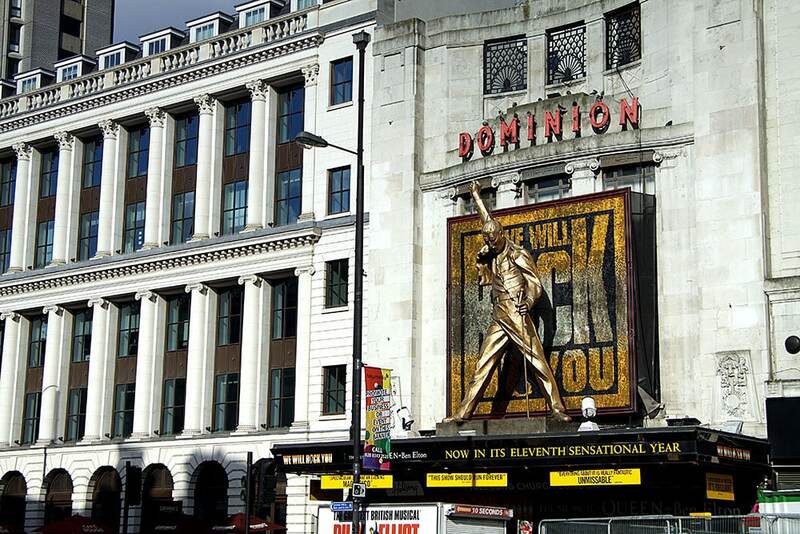 Since 2002, the Dominion has been the home of We Will Rock You. Due to close in 2006, popular demand has meant the show has been extended indefinitely. The 11-year run makes it the longest running production in the history of the theatre. Fully accessible foyer. Box for wheelchair users and lift available. An adapted toilet is available at stalls level. There is an infrared system working throughout the auditorium with both loop and conventional headsets. Sign-interpreted performances are also available. Guide dogs are most welcome everywhere in the theatre, and may be taken into the auditorium if required. Please contact the theatre directly for further information.